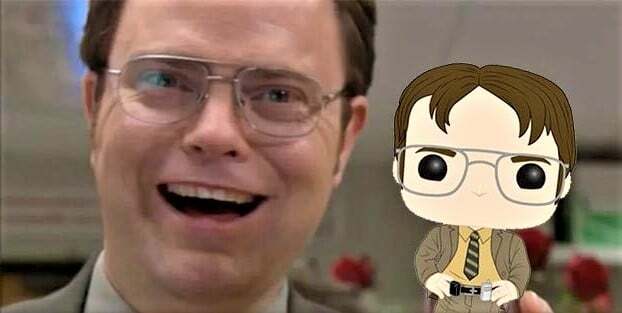 If you love The Office and have been on Netflix watching its episodes and posting The Office memes, you’d be super excited to hear that Funko has finally come up with a collection of Pop Figures from The Office at New York Toy Fair 2019. So, all those who love wearing their Dunder Mifflin T-Shirt, gear up for these Funko figures. The collection has Pam Beesly, Dwight Schrute, Michael Scott, Kevin Malone, Darryl Philbin, a Toby vs Michael 2-Pack and Jim Halpert with a Chase. All these Funko The Office figures will be available for pre-order today at some point. You can order them by clicking here. The Office range of Pop Figures is part of the many classic TV releases dropped by Funko in the NY Toy fair today. Other notable additions include Community, The Addams Family and Cheers. You can keep a check on all the Funko New York Toy Fair releases here.